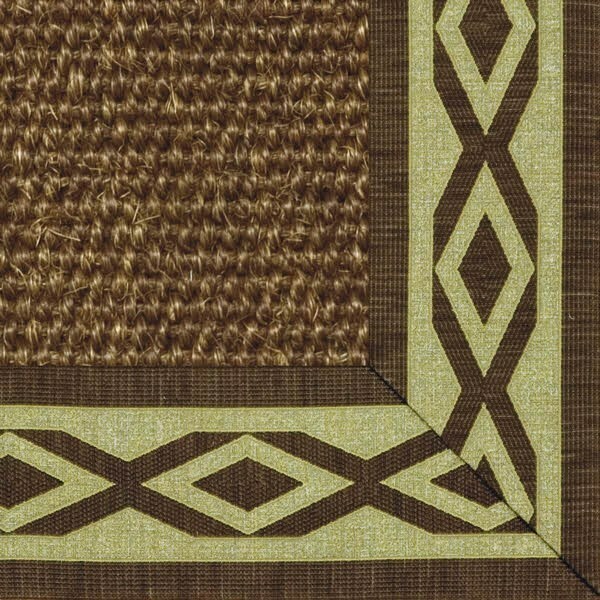 Sisal is considered the strongest and hardest wearing of the natural fibers. The Agave Sisalana plant, grown in Mexico, Brazil and some parts of Africa, has a 7 to 10 year lifespan and can produce up to 300 usable leaves in a lifetime. Each sword-shaped leaf contains about 1000 fibers, of which the highest grade ones are used to produce sisal carpeting. Sisal makes a perfect choice for environmentally sustainable living. Sisal Cascade rug bordered with woven tapestry. The digital images we display have the most accurate color possible. However, due to differences in computer monitors, we cannot be responsible for variations in color between the actual product and your screen. Please be advised that in some cases patterns and colors may vary according to size. All sales through our Showroom are final. No returns are accepted.